What a beautiful day to go out and paint plein air. 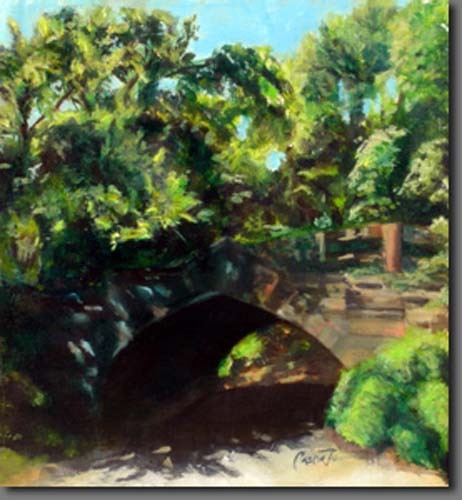 It was a warm day but I was painting from the shadows in Prospect Park in Brooklyn, NY. I felt like I was staring into a secret spot; Endale Arch provided me with many challenges to overcome. The study in greens from foreground to backgrounds , the texture and subtlety of the wooden guardrail and the stone archway kept my interest peaked. The pops of color from the dappled sunlight were an added bonus.